In this Buffalo, New York scene looking southwest from the Seneca Street bridge we see the Erie's line from FW Tower (located behind the camera) where it splits into two. 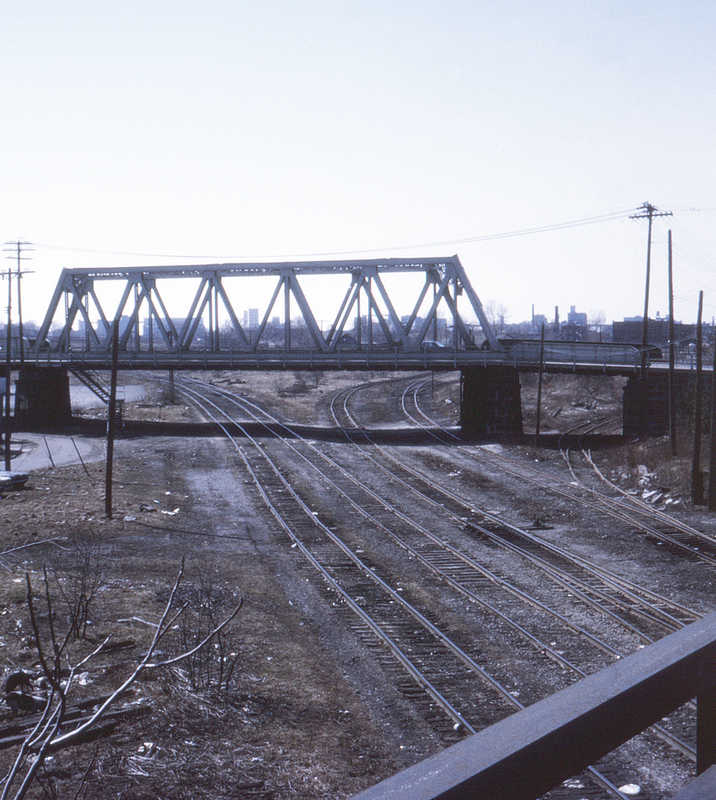 The line to the left leads to South Buffalo and Lackawanna, while the former Erie passenger station was accessed by the line to the right. The overhead street bridge in the foreground is Smith Street.